At your e-commerce company, increasing online sales & revenue is probably your main goal which is going to last forever. In order to achieve that, you are using a mix of channels and platforms, such as Google Adwords, Facebook Ads, Retargeting Ads, Pop-ups, Emails, SMS, etc. But this year, if you’d like to be ahead of the competition, you have to add an innovative solution to your existing technology stack of traditional marketing channels. This new “hack” is “Automated Web Push Notifications”. 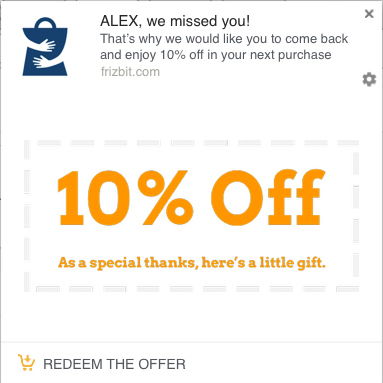 It’s like automated cart abandonment emails but without email or product retargeting ads but without ads. You might be aware of the “Web push notifications”, which are the browser version of the push notifications we know from mobile apps. With web push notifications, websites can get opt-in from users without email addresses and send notifications even when the users are not on the website. 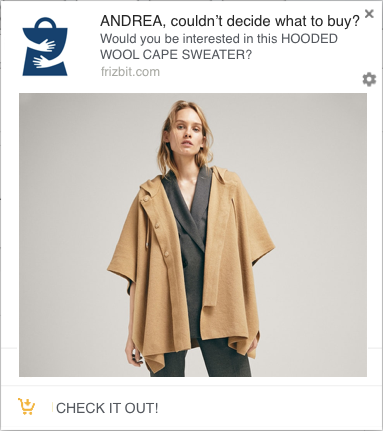 Why to use Website Push Notifications at your Online Store? 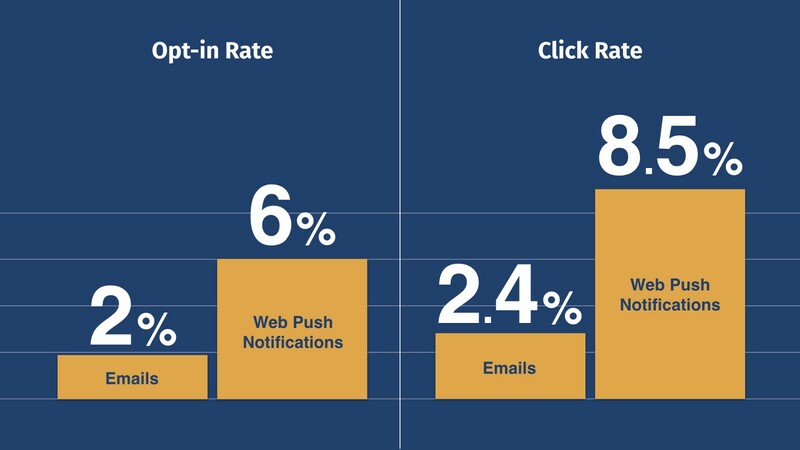 Higher Engagement Rate: Web push notifications have x4 higher click rate than emails, with an average click rate of 8.5%, while emails have an average click rate of 2.4% according to Mailchimp. Re-engage with Users Who Don’t Sign-Up: Many users prefer not to leave any personal information on the website, because of this they don’t sign-up or leave an email address for newsletters. But with web push notifications, you can bring them back even you don’t know their e-mail address. No App Needed: Via web push notifications you can send push notifications both mobile and desktop users, without having a mobile application. 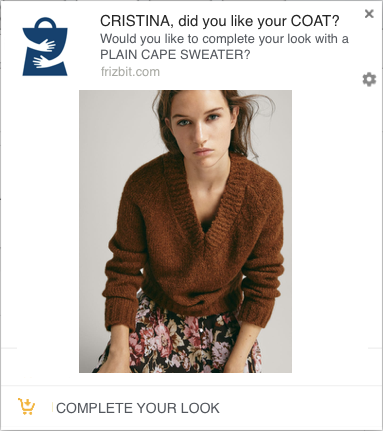 Yes, website push notifications is a quite nice retention channel in general and “manual” push notifications are very useful for blogs and media websites, BUT as an e-commerce you can make the most out of it only with “automated” push notifications. How does push notifications on automation work? Templates: Create templates of notifications for each scenario and personalise them with dynamical parameters such as “Product Name”, “Product Image”, “Product Category”, “Customer Name”, etc. 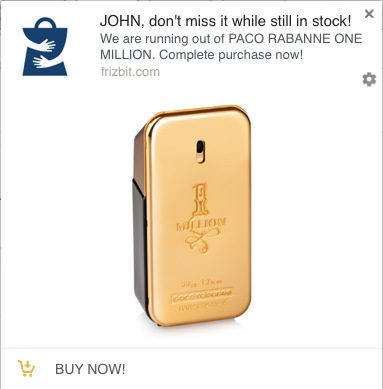 Why Automated Push Notifications are Crucial for E-commerce? Always to the right person: As push notifications are triggered by user behavior, always the most relevant users receive it. That’s why both click rates and conversion rates are quite high. 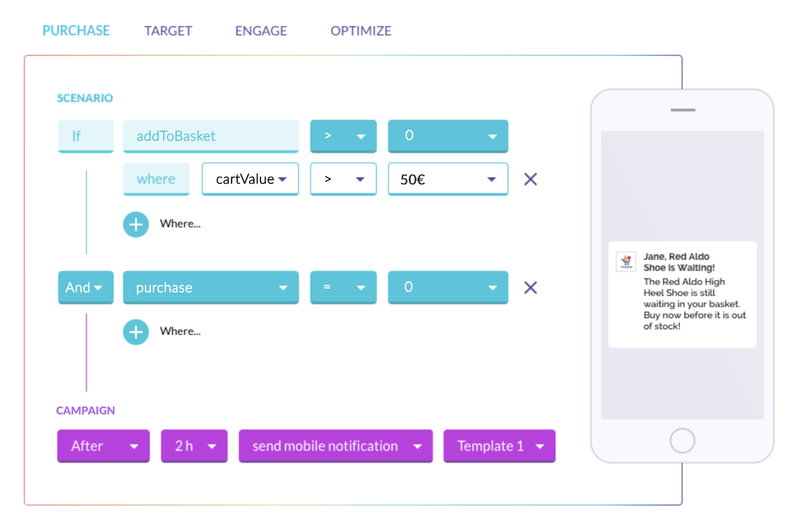 Automation is time-efficient: As notifications are triggered automatically with user behavior, you set the scenario and template once, and that’s it. So, you don’t have to spend any more time to write content of notification, etc. Probably the most effective and most converting campaign type ever for e-commerce, as 3 quarters of the carts are abandoned on the average. It’s very powerful as it can recover the abandoned carts even from the not signed-in users -which is not possible with cart abandonment emails- Strongly recommended for any type of e-commerce. AND does NEITHER [Purchase] NOR [RemoveFromBasket] event. THEN send after X hours. This is quite similar to the retargeting ads, now you simply don’t need ads to do retargeting. 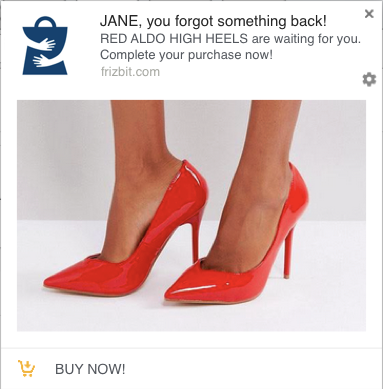 You don’t need to buy ads or deal with ad blockers, because you can do retargeting with notifications. Many users browse products but then leave the website without even adding to the cart. Now we can remind them the last product they have browsed. AND does NOT [AddtoBasket] event. THEN, send after X hours. Many users visits category pages, product listing pages or search result pages even before clicking on a product. Indeed, they take enough actions to tell us what they are really up for. 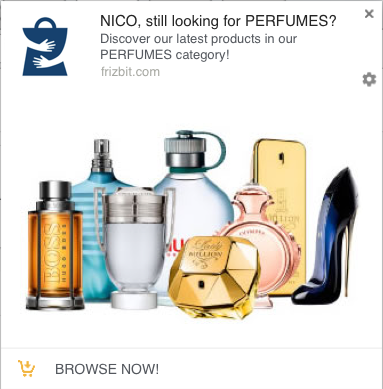 Wouldn’t be great if we could send push notifications with their search terms or the category names of the products they have searched for? AND does NOT an [AddToBasket] event. Most valuable users are always returning users. Then you have to bring them back periodically for a good reason. You can create automated campaigns to invite them periodically back to the website with some incentives that you can provide, such as discounts or coupon codes. If you are an e-commerce selling a lot of items which can be combined together? Then you can create cross-sell campaigns to automatically suggest a complementary product some days after the customer completes their purchase. Wouldn’t be nice to complete their look? Most of the time users are confused with the alternatives and they are waiting for someone to say “this is it!” as the salesman in a fashion store saying “If I were you, I would buy that”. Then why not doing the same digitally? Create an up-sell campaign for automatically suggesting the user with your battleship of your collection. AND does NOR [PURCHASE] NEITHER [RemoveFromBasket] event. THEN send after 2 days. How to Orchestrate your Marketing Strategy on Multi-Channel? Your competitors have already begun using push notifications for browsers. Frizbit is the smart and fast solution for sending push notifications. Discover Chrome Push Notifications! © 2018 Frizbit. All rights reserved.